I think it's about time we get a layout and background image set up on our Tumblr account. Wondering if it's possible to make whoever is interested in doing this a moderator so they can have access to the settings. 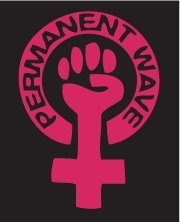 I think the Tumblr would be a great way of spreading the word about Perm Wave Bay, our manifesto, whatever events we are planning, our projects, and so on. Once the Tumblr is properly set up we can each promote it through our own personal Tumblrs to get the word out to hundreds/thousands of people. Is anyone interested in setting up a customized layout for the group on the already existing Tumblr? permwavebay dot tumblr dot com (this site won't let me paste the exact link). This message board could also use some help. Anyone who's interested in learning CSS and other cool internet scripting, now's a great time to start! You have two playgrounds in the form of our two major web presences. What happened to the list of everyone's Tumblr names? I can't acess in tumblr without URL? My name did'nt find in the system.